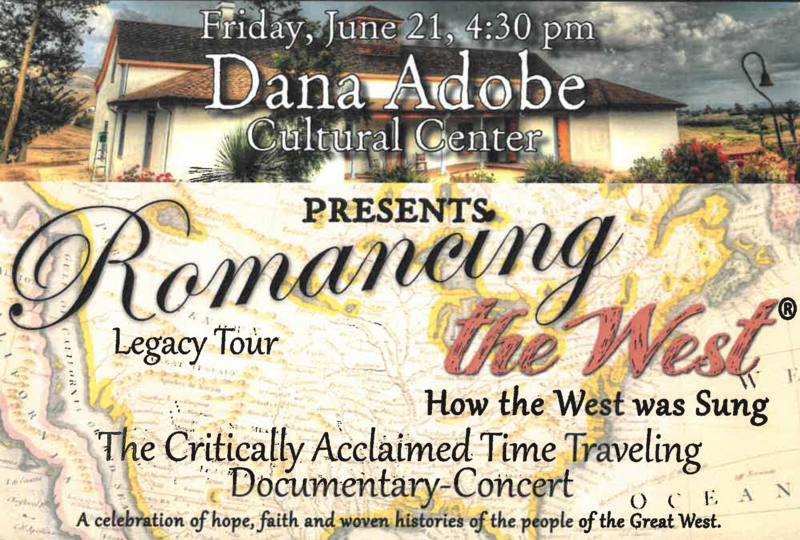 Join us for the critically acclaimed documentary concert, "Romancing the West" and an Italian dinner buffet at the Dana Adobe Cultural Center in Nipomo! Join us for the critically acclaimed documentary concert, "Romancing the West" and an Italian dinner buffet at the Dana Adobe Cultural Center in Nipomo! 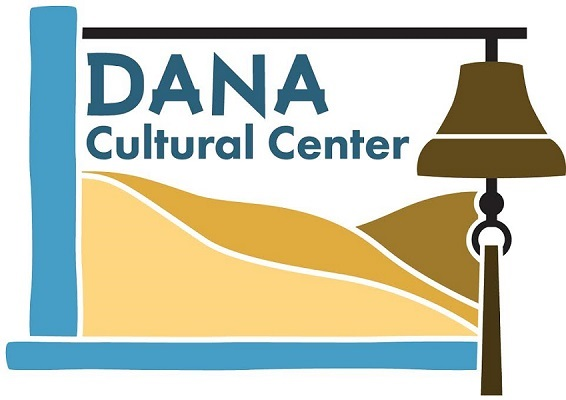 The event will take place on Friday, June 21, 2019, at the Dana Adobe Cultural Center. Doors will open at 4:00 PM, while dinner and show starts at 4:30 PM. Until May 1st, tickets will be on sale at a discounted price! Our early bird tickets are on sale for $40 per person. Tickets include the show, dinner, and 1 drink. Additional drinks can be purchased during the event. For more information, call (541) 292-7829.